On Wednesday 10 October 2018 Taiwan celebrated its National Day, the 107th since the founding of the Republic of China (its official name). On the occasion, President Tsai Ing-wen delivered a television speech in which she called on Beijing to be a “responsible” nation and cease stoking international tensions in its bid to pressure Taiwan and its allies into subscribing to its One-China Policy. Over the last two years China has been increasing its efforts to promote unification between mainland China and the island of Taiwan, a foreign policy which has dawn international criticism from the US and other nations. Taiwan President Tsai Ing-wen called on China to be a "responsible" country on the world stage rather than provoking unnecessary conflict, amid worsening relations between Beijing and the island it considers a renegade province. Tsai made the remarks during a television speech on Wednesday, Taiwan's National Day, which marks the 107th anniversary of the founding of the Republic of China, as the island is officially known. The Taiwan President said the island had no intention of recklessly provoking China but said Beijing should also avoid being a "source of conflict." Tsai said she would work to strengthen the island's national security in response to the increasing threats from Beijing, which she said had been exerting growing pressure on the island. In September, the US approved a $330 million arms sale to Taiwan, primarily spare parts for the island's air force. 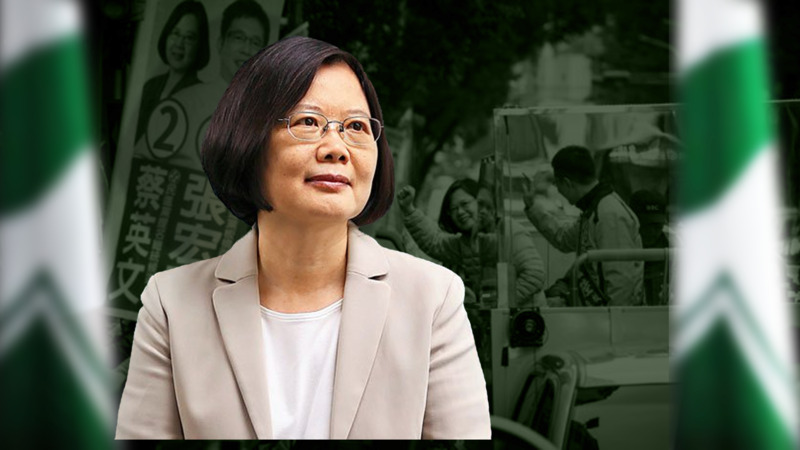 Tsai's party is facing a tough battle at the upcoming local elections in Taiwan in November, after the President's popularity dropped following months of bad economic news and tensions with mainland China. Relations between Taipei and Beijing have cooled dramatically since Tsai was elected in 2016, resulting in clashing displays of military power and strained economic ties across the Taiwan Strait. The Chinese government is concerned about pro-independence sentiments in Tsai's ruling party, which has historically called for the island to formally separate itself from mainland China. "As President, I guarantee to my citizens that I will definitely not move to confrontation in a moment of anger, and make cross-strait relations fall into danger. But I will also not ... sacrifice Taiwan's sovereignty," she said. In a statement released Wednesday, China's Taiwan Affairs Office called Tsai's speech "evil" and "provocative." "It's filled with absurd separatist remarks, exposing her evil intentions to contain mainland China by cooperating with anti-China forces in the West," the statement quoted spokesman Ma Xiaoguang as saying. In his speech last week, Pence doubled down on previous remarks made by US President Donald Trump, saying Beijing was attempting to meddle in the upcoming US midterm elections. "To put it bluntly, President Trump's leadership is working. China wants a different American President," Pence said. Beijing said in response that US claims of electoral interference were "baseless." In his remarks, Pence took a forceful line on the issue of Taiwan, condemning ongoing efforts by Beijing to strip the island of its diplomatic allies around the world and forcing multinational companies to remove any references to the island as a separate entity from China.